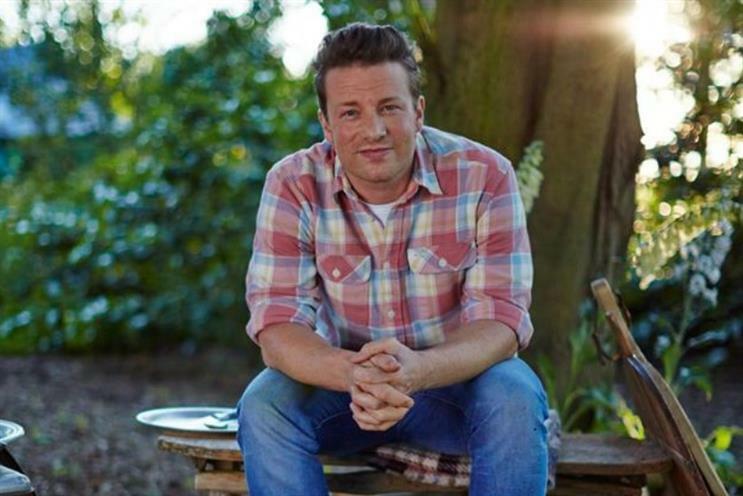 Jamie Oliver, MBE, is a celebrity chef, entrepreneur and food campaigner. He entered the spotlight in 1999 with BBC TV show The Naked Chef; his most recent series was Jamie's Comfort Food, on Channel 4. Creativity is all in the execution. However beautiful something is, if it’s delivered in an underwhelming or predictable way, true creativity won’t shine through. Having made many mistakes over the years, creatively and commercially, I now know I’m really good at content. And, most of all, creating great, trusted recipes that are rigorously tested, really work and are presented in a clear way editorially. However, the way that simple quality is expressed, and on what platform, is most important. My dream is to inspire and empower people around the world to enjoy a life full of real food, and to share that food with family and friends as often as possible. I know I’m mainstream now, and that’s a good thing – the days of being cool and edgy are gone. But what’s really exciting me is digital, and how it will allow me to amplify what I do best, regardless of language or geography. I’m a geek when it comes to technology, and always have been. To be truly creative, you have to explore and embrace new ways to communicate ideas, as well as solutions to the world’s problems. I launched my Food Tube platform more than two years ago. I had no idea whether it would take off. I launched it because I wanted a place where I could broadcast what and when I wanted. I wanted to have a conversation with a community, based on quality, trust and responsiveness. To be truly creative, you have to explore and embrace new ways to communicate ideas, as well as solutions to the world’s problems. Don’t get me wrong, I love making TV shows, and they’re still relevant, but I also love the immediacy of digital and the spontaneity it allows to test and grow ideas. I believe a blend of traditional and new media is the ‘Holy Grail’, and where the quirks, surprises and depth of engagement of future audiences will lie. Very few have convincingly achieved this balance. Food Tube and Drinks Tube allow me to introduce the audience to fantastic new talent, and it’s also attracted big names like Hugh Fearnley-Whittingstall, Lorraine Pascale, Antonio Carluccio and Gennaro Contaldo. The numbers speak for themselves – almost 2.7m subscribers across the network at the last count. Two things I’m excited about right now in the digital world are YOU-app and WeAre8, both of which I’ve been involved in from their early days. YOU-app focuses on the neuroscience of how we can make positive, sustainable change in our lives. Even before its official launch, we’ve built an impressive community of people who want to improve their lives in a fun and interactive way. Early signs are that the mostly young and female community loves the simple functionality and essence of the idea, and are telling their friends about it. WeAre8 could also be a game-changer. It’s a beautiful place where you can build layers of content, videos and links to music – kind of a cross between Facebook, Pinterest and YouTube. What’s unique is the commercial model behind it, which benefits the user much more with regard to control and IP. I also love the charity element, which appeals to me because I’ve had my own foundation for 12 years. We constantly look to inspire global change – something in which technology and social media will play a key role over the next few years. I’d love to think there’ll always be a place for print magazines in the same way that vinyl still thrives, despite the availability of inexpensive downloads. On 15 May, it’ll be our fourth annual Food Revolution Day. In the past four years, with very little budget, we’ve established an energetic, campaigning global community. This year we’re calling on people to sign my petition to the G20 to get compulsory, practical food education on curriculums. That’s not to say that everything I do is geared toward digital. We’re about to launch a monthly Food Tube supplement, free with London’s Time Out, bridging the gap between digital and print media. I’d love to think there’ll always be a place for print magazines in the same way that vinyl still thrives, despite the availability of inexpensive, accessible music downloads. So, for me, creativity shouldn’t be limited to whether something works well on a particular platform. If it’s good and relevant, it’ll find its place and people will respond. The important thing is to always listen to what the audience wants, balance it with your aims, and be agile and responsive enough to create and inspire in all you do.